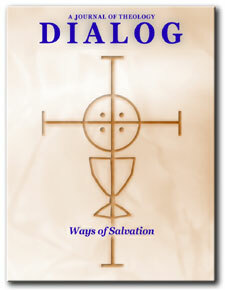 Originally published in Dialog: A Journal of Theology, Vol. 45; No. 3 (Fall, 2006), pp. 288-297; published by Blackwell Publishing, UK. Having specialized for several decades in critical studies of the resurrection of Jesus, I recently decided to update my Bibliography. What began rather modestly evolved into a five year study of well over 2000 sources on this topic, published from 1975 to the present in German, French, and English. I was most interested in scholarly trends, resulting in a survey of well over 100 sub-issues. One area of concentration was the common historical content recognized by virtually all researchers. For a variety of reasons, contemporary scholars widely conclude that after his death, Jesus' followers at least thought that they had seen appearances of the risen Jesus. Do the disciples' beliefs that they had witnessed resurrection appearances provide any clues as to what may really have occurred? The answer depends on how one accounts for these experiences. Here, where scholarship differs widely, three chief options prevail. In spite of these differences, it is my contention that this is the single most crucial aspect of the historical question. During the examination of this subject, I will attempt to clarify some of the relevant issues in order to narrow the major options. While I will not choose between these answers regarding the underlying cause, my chief task is to tighten the focus of the discussion. In the process, I will use chiefly those data to which the vast majority of recent researchers agree, at least in principle, regardless of their theological positions. Due to the volume of relevant material, I will often resort to summarized conclusions of recent scholarly trends. The endnotes provide additional background information, perspectives, argumentation, and other details. The substantially unanimous verdict of contemporary critical scholars is that Jesus' disciples at least believed that Jesus was alive, resurrected from the dead. Reginald Fuller refers to the disciples belief in Jesus' resurrection as "one of the indisputable facts of history." Upon what was their claim based? Fuller continues that it is clear that the disciples had real experiences, characterized as appearances or visions of the risen Jesus. Whether these are explained naturally or supernaturally, this experience "is a fact upon which both believer and unbeliever may agree." In recent studies of the historical Jesus, this aspect has enjoyed the support of a broad scholarly consensus. E.P Sanders declares that the "equally secure facts" indicate that Jesus' disciples "saw him (in what sense is not certain) after his death . . . . Thereafter his followers saw him." That the vast majority of scholars, in spite of extensive disagreements in other areas, recognizes that the disciples had some sort of experience is a significant starting point. How these experiences are explained is another matter. But there are some rather impressive reasons that explain such a widespread, initial conclusion. We will begin by listing eight pointers, four from Paul and four more from various other sources. (1) Contemporary critical scholars agree that the apostle Paul is the primary witness to the early resurrection experiences. A former opponent (1 Cor. 15:9; Gal. 1:13-14; Phil. 3:4-7), Paul states that the risen Jesus appeared personally to him (1 Cor. 9:1; 15:8; Gal. 1:16). The scholarly consensus here is attested by atheist Michael Martin, who avers: "However, we have only one contemporary eyewitness account of a postresurrection appearance of Jesus, namely Pauls." (2) In addition to Paul's own experience, few conclusions are more widely recognized than that, in 1 Corinthians 15:3ff., Paul records an ancient oral tradition(s). This pre-Pauline report summarizes the early Gospel content, that Christ died for human sin, was buried, rose from the dead, and then appeared to many witnesses, both individuals and groups. Paul is clear that this material was not his own but that he had passed on to others what he had received earlier, as the center of his message (15:3). There are many textual indications that the material pre-dates Paul. Most directly, the apostle employs paredoka and parelabon, the equivalent Greek terms for delivering and receiving rabbinic tradition (cf. 1 Cor. 11:23). Indirect indications of a traditional text(s) include the sentence structure and verbal parallelism, diction, and the triple sequence of kai hoti Further, several non-Pauline words, the proper names of Cephas (cf. Lk. 24:34) and James, and the possibility of an Aramaic original are all significant. Fuller attests to the unanimity of scholarship here: "It is almost universally agreed today that Paul is here citing tradition." Critical scholars agree that Paul received the material well before this book was written. The most popular view is that Paul received this material during his trip to Jerusalem just three years after his conversion, to visit Peter and James, the brother of Jesus (Gal. 1:18-19), both of whose names appear in the appearance list (1 Cor. 15:5; 7). An important hint here is Paul's use of the verb historesai (1:18), a term that indicates the investigation of a topic. The immediate context both before and after reveals this subject matter: Paul was inquiring concerning the nature of the Gospel proclamation (Gal. 1:11-2:10), of which Jesus' resurrection was the center (1 Cor. 15:3-4, 14, 17; Gal. 1:11, 16). Critical scholars generally agree that this pre-Pauline creed(s) may be the earliest in the New Testament. Ulrich Wilckens asserts that it "indubitably goes back to the oldest phase of all in the history of primitive Christianity." Joachim Jeremias agrees that it is, "the earliest tradition of all." Perhaps a bit too optimistically, Walter Kasper even thinks that it was possibly even "in use by the end of 30 AD . . . ."
Indicating the wide approval on this subject, even more skeptical scholars frequently agree. Gerd Ludemann maintains that "the elements in the tradition are to be dated to the first two years after the crucifixion of Jesus. . . . not later than three years. . . . the formation of the appearance traditions mentioned in I Cor.15.3-8 falls into the time between 30 and 33 CE. . . ." Similarly, Michael Goulder thinks that it "goes back at least to what Paul was taught when he was converted, a couple of years after the crucifixion." Thomas Sheehan agrees that this tradition "probably goes back to at least 32-34 C.E., that is, to within two to four years of the crucifixion." Others clearly consent. Overall, my recent overview of critical sources mentioned above indicates that those who provide a date generally opt for Paul's reception of this report relatively soon after Jesus death, by the early to mid-30s A.D. This provides an additional source that appears just a half step removed from eyewitness testimony. (3) Paul was so careful to assure the content of his Gospel message, that he made a second trip to Jerusalem (Gal. 2:1-10) specifically to be absolutely sure that he had not been mistaken (2:2). The first time he met with Peter and James (Gal. 1:18-20). On this occasion, the same two men were there, plus the apostle John (2:9). Paul was clearly doing his research by seeking out the chief apostles. As Martin Hengel notes, "Evidently the tradition of I Cor. 15.3 had been subjected to many tests" by Paul. These four apostles were the chief authorities in the early church, and each is represented in the list of those who had seen the resurrected Jesus (1 Cor. 15:5-7). So their confirmation of Paul's Gospel preaching (Gal. 2:9), especially given the apostolic concern to insure doctrinal truth in the early church, is certainly significant. On Paul's word, we are again just a short distance from a firsthand report. (4) Not only do we have Paul's account that the other major apostles confirmed his Gospel message, but he provides the reverse testimony, too. After listing Jesus' resurrection appearances, Paul tells us he also knew what the other apostles were preaching regarding Jesus' appearances, and it was the same as his own teaching on this subject (1 Cor. 15:11). As one, they proclaimed that Jesus was raised from the dead (15:12, 15). So Paul narrates both the more indirect confirmation of his Gospel message by the apostolic leaders, plus his firsthand, direct approval of their resurrection message. (5) Critical scholars usually recognize that James, the brother of Jesus, was a rather skeptical unbeliever prior to Jesus' crucifixion (Mk. 3:21-35; Jn. 7:5). Not long afterwards, James is a leader of the Jerusalem church, where Paul finds him during his two visits (Gal. 1:18-19; 2:1-10; cf. Acts 15:13-21). In-between, the pre-Pauline statement in 1 Corinthians 15:7 states that the risen Jesus appeared to James. Scholars find several reasons for believing that James was an unbeliever before this event. John Meier points out that James' unbelief is multiply attested. Further, the criterion of embarrassment is probably the strongest consideration, since it would be highly unlikely that the early church would otherwise sponsor what would potentially be some "deeply offensive" statements regarding Jesus' brother, as well as a major leader. To a lesser extent, the criterion of coherence indicates a similarity between Jesus' frequent call to place God before one's family, and Jesus' own example, in that he did the same although some of his own family members were unbelievers. Surprisingly, Fuller concludes that even if the New Testament had not referenced the resurrection appearance to James, "we should have to invent" one in order to account for his conversion and his promotion to his lofty position in the Jerusalem church! The majority of recent scholars, including many rather skeptical ones, agree that James was converted from unbelief by Jesus' personal appearance. (6) Many other early creedal texts are found throughout the New Testament. Many scholars think that the Book of Acts incorporates some of these early traditions, located in the sermons contained there. They are generally identified by factors such as their compactness, theological simplicity, and because the structure, style, and/or diction reflect word patterns other than the author's. Not as widely accepted as the pre-Pauline tradition(s) in 1 Corinthians 15:3ff., it still appears that a majority of critical scholars conclude that some of these snippets reflect the early preaching of the Gospel message. The risen Jesus is the center of each tradition, and Jesus' appearances are mentioned frequently. These Acts traditions are often dated very early. Gerald OCollins thinks that this book "incorporates resurrection formulae which stem from the thirties." John Drane concludes that this material "almost certainly goes back to the time immediately after the resurrection event is alleged to have taken place." (7) Virtually no critical scholar questions that the disciples convictions regarding the risen Jesus caused their radical transformation, even being willing to die for their beliefs. Their change does not evidence the resurrection appearances per se, but it is a clear indication that the disciples at least thought that they had experienced the risen Jesus. Alternatives must account for this belief. (8) In the study mentioned at the outset of this essay, I found that approximately 75% of the surveyed scholars accept one or more arguments for the historicity of the empty tomb. The remaining 25% accept one or more arguments against the early church's knowledge of an empty tomb. If the majority is correct that Jesus' burial tomb was later found empty, this perhaps adds some credibility to the disciples' claim that they saw the risen Jesus. If the minority view is correct, this reason would of course not support Jesus' appearances. The survey revealed almost two dozen reasons supporting Jesus empty tomb. These include the potentially embarrassing but unanimous agreement in all four Gospels that women were the earliest witnesses, Jerusalem being the least-likely place for a resurrection proclamation, the attestation by multiple sources, the early pre-Pauline creed (1 Cor. 15:3-4) implying an empty tomb (cf. the possible early tradition in Acts 13:29-31, 36-37), along with the later report that the Jewish leaders conceded it (Matt. 28:11-15). The minority position that accepted one or more reasons against the empty tomb cited a total of about a dozen opposing considerations. These tend to center on the lateness of the Gospel reports, Paul's lack of discussion (and perhaps knowledge) of the empty tomb, and that the report served apologetic purposes in Christian preaching. The empty tomb is not as widely held as are the other historical reasons for the disciples' experiences, which are seldom disputed. Still, most critical scholars agree that Jesus' tomb was found empty. James D.G. Dunn concludes: "I have to say quite forcefully: the probability is that the tomb was empty. As a matter of historical reconstruction, the weight of evidence points firmly to the conclusion. . . ." Potential alternative explanations are not feasible. Historian Michael Grant surprisingly states that "the historian . . . cannot justifiably deny the empty tomb" because normally applied historical criteria indicate that, "the evidence is firm and plausible enough to necessitate the conclusion that the tomb was indeed found empty." These eight reasons indicate why virtually all recent scholars conclude that the disciples thought that they had seen the risen Jesus. Paul's eyewitness testimony, the early date of the pre-Pauline creed(s) in 1 Corinthians 15:3ff., scrutinizing his Gospel message at least twice before the chief apostles who were also witnesses, and Paul's knowledge of their eyewitness teaching on the resurrection appearances produces a simply astounding, interconnected line of evidence nearly unheard of in ancient documents. Howard Clark Kee surprisingly remarks that Paul's research "can be critically examined and compared with other testimony from eyewitnesses of Jesus, just as one would evaluate evidence in a modern court or academic setting." Further, four additional reasons include the conversion of James from unbelief after witnessing an appearance from his brother Jesus, other early creedal texts in Acts and elsewhere, the disciples' transformation, and the possibility of the empty tomb. It is clear that the disciples were thoroughly convinced that Jesus was raised from the dead and that they had seen him. Still other factors could be mentioned, but these are sufficient for our purposes. No other thesis viably opposes the conclusion that the disciples at least thought that Jesus was raised from the dead. This was what Fuller termed "one of the indisputable facts of history." The disciples thought that they had witnessed Jesus' appearances, which, however they are explained, "is a fact upon which both believer and unbeliever may agree." Fuller adds that "[e]ven the most skeptical historian" must do one more thing: "postulate some other event" that is not the disciples' faith, but the reason for their faith, in order to account for their experiences. Of course, both natural and supernatural options have been proposed. For the remainder of this article, we will survey the major categorical options that propose explanations to account for the disciples' belief that they had actually seen the risen Jesus. Although we will not decide here on a specific cause, it is my contention that even narrowing the options can be of great assistance in addressing the single most crucial aspect of these historical issues. Each of the eight reasons above argues clearly for the belief that Jesus was seen alive after his crucifixion. The widespread view of contemporary scholars is that a visual claim was being made, either as a perceived revelation or as some type of presence. The disciples proclaimed that they had seen appearances of Jesus. This is what Paul clearly attested. The pre-Pauline creed lists Peter, James, and the other apostles as recipients. Peter, James, and John were all present when Paul's Gospel was affirmed. Paul knew of their preaching on Jesus' appearances. Most scholars agree that Jesus' tomb was empty. As a result, these disciples were transformed. Recent scholars agree. Helmut Koester points out that, "We are on much firmer ground with respect to the appearances of the risen Jesus and their effect." Jesus' appearances "cannot very well be questioned." Bart Ehrman declares: "we can say with complete certainty that some of his disciples at some later time insisted that . . . he soon appeared to them, convincing them that he had been raised from the dead." Ehrman adds: "Historians, of course, have no difficulty whatsoever speaking about the belief in Jesus' resurrection, since this is a matter of public record." Holtz thinks that the disciples' "experience of resurrection . . . is in fact an undeniable historical event." Ludemann reminds us that the appearance language employed by Paul is that of sight: "active sensual perception. . . . Paul is claiming a visual side to the appearance . . . ." More specifically, Paul thinks that Jesus appeared in his "transformed spiritual resurrection corporeality." It seems clear that the disciples were utterly persuaded that the risen Jesus had appeared to them. The data are strong enough that this is granted by virtually all critical scholars. Can we get any closer to the nature of the experience that convinced the disciples? We will mention three avenues, each of which presents its own problems. Those who deny (or question) whether the disciples actually saw Jesus in some sense would seemingly sever the connection between what the disciples thought, and what really happened. They generally move in either of two directions, by directly or indirectly positing their solution. (1) The more popular of the two skeptical approaches, reaching its heyday in nineteenth century thought, posed a naturalistic theory to account for the data. Such a move basically accepted the strongest historical facts, while veering off in a natural direction instead of affirming the resurrection. However, in spite of a minority resurgence at present, this approach has proven to be the most difficult. In fact, the vast majority of critical scholars reject this option. They are often well aware that the weight of the known historical facts opposes each of the proposals, and comparatively few attempt it. Scholars generally concede that there are multiple historical problems with each of the options. For instance, Raymond Brown refers to these theses as "gratuitous charges." James D.G. Dunn charges that these "alternative interpretations of the data fail to provide a more satisfactory explanation." Stephen Davis agrees: "All of the alternative hypotheses with which I am familiar are historically weak; some are so weak that they collapse of their own weight once spelled out. . . . the alternative theories that have been proposed are not only weaker but far weaker at explaining the available historical evidence. . . ." John A.T. Robinson admits that, "It is indeed very difficult to dismiss [Jesus' appearances] and still find a credible explanation." (2) Another option is the agnostic plea that we do not (or cannot) really know what happened. The disciples indeed were sincere in their belief that they saw Jesus, but we cannot determine the cause. This position sometimes seems to reject even the possibility of actual appearances, rather than following the data to its conclusion. The approach is difficult to maintain, since its question mark could be answered by the many factual considerations. Perhaps we have plenty of evidence already to decide the case, especially since we used only those minimal data that virtually all critical scholars accept, including agnostics. So critics must not reject, or pull up short of, the results that are indicated by their own research, which may clearly indicate that more than an undefined "something" occurred to Jesus' disciples. Recognized historical particulars must be accounted for in a viable manner. For example, perhaps the eight areas mentioned above could settle the matter of the cause of the disciples' experiences. But simply to label these data as insufficient does not explain them--they may be precisely what is capable of solving the historical issue. With Fuller, many scholars counter that we are capable of positing a cause for the disciples' faith beyond the faith itself. (3) In my study mentioned at the outset of this essay, by far the most popular option at present is that Jesus was actually raised in some form, either as an objective vision or in a transformed body. The former view was more popular a few decades ago, while the latter appears clearly to be the majority view at present . Reasons such as those listed here are most frequently mentioned for establishing this position, each of which points to a visual event that changed the disciples' lives, completely convincing them that they had seen the risen Jesus. Besides the rejoinders posed by the naturalistic hypotheses, various a priori objections have been proposed. While seldom addressed specifically to the resurrection, these philosophical misgivings are aimed at miracles in general. For example, naturalists or more deistic thinkers object that miraculous events do not occur. Or, these reservations might concern background information (as with Bayes Theorem), or issues regarding the nature of the evidence. While favored by some philosophers, these responses are also opposed by many. I have argued that at the center of the historical issue regarding the resurrection appearances is that Jesus' disciples were totally convinced that they had seen the risen Jesus. Many strong reasons support the historicity of these beliefs. Virtually all critical scholars agree that these the disciples' convictions are thoroughly historical. Do the disciples' beliefs that they had experienced resurrection appearances provide any clues as to what caused these convictions? We have outlined three chief options. It is not our purpose here to choose between these general paths that purport to account for the cause of the disciples' experiences. One option might potentially show itself to be superior. For example, since many researchers accept the maxim that a viable natural hypothesis is to be accepted before a supernatural one, postulating and checking alternative scenarios by the known data will probably continue. This process makes sense. On the other hand, if alternative theses continually fail amid dissatisfaction with agnostic reluctance, the reasons favoring the disciples' experiences might indicate that the most likely scenario is that the disciples actually did see the risen Jesus. In general, the more thoroughly one option fails, the more likely the others become. And the more strongly an option is established, the more the others diminish. Even without a final solution here, however, there is still value in honing our instruments and narrowing our options. Fuller, The Foundations of New Testament Christology (New York: Scribner's, 1965), 142. E.P. Sanders, The Historical Figure of Jesus (London: Penguin, 1993), 11, 13. Michael Martin, The Case Against Christianity (Philadelphia: Temple University, 1991), 81. Reginald Fuller, The Formation of the Resurrection Narratives (New York: Macmillan, 1980), 10. Of the vast number of scholars who agree, some examples include John Kloppenborg, "An Analysis of the Pre-Pauline Formula in 1 Cor 15:3b-5 in Light of Some Recent Literature," Catholic Biblical Quarterly, Vol. 40 (1978), especially 351, 360; Jerome Murphy-O'Connor, "Tradition and Redaction in 1 Cor 15:3-7," Catholic Biblical Quarterly, Vol. 43 (1981), 582-589; John Meier, A Marginal Jew: Rethinking the Historical Jesus (New York: Doubleday, 2001), Vol. 2:139; Sanders, The Historical Figure of Jesus, 277; Pinchas Lapide, The Resurrection of Jesus: A Jewish Perspective (Minneapolis: Augsberg, 1983), 97-99. Several studies on the meaning of historesai in Gal. 1:18 have reached similar conclusions. See William Farmer, "Peter and Paul, and the Tradition Concerning `The Lord's Supper' in I Cor. 11:23-25," Criswell Theological Review, Vol. 2 (1987), 122-130, in particular, and 135-138 for an apostolic, Petrine source for the pre-Pauline tradition. Also helpful is an older but still authoritative study by G.D. Kilpatrick, "Galatians 1:18 historesai Kephan" in New Testament Essays: Studies in Memory of Thomas Walter Manson, A.J.B. Higgins, editor (Manchester: Manchester University, 1959), 144-149. Paul Barnett reports that this same term appears in Herodotus, Polybius, and Plutarch, for whom it meant to inquire (41). Similar ideas are contained in J. Dore, "La Resurrection de Jesus: A L'Epreuve du Discours Theologique," Recherches de Science Religieuse, Vol. 65 (1977), 291, endnote 11. Gerd Ludemann, The Resurrection of Jesus, trans. John Bowden (Minneapolis: Fortress, 1994), 38 (Ludemanns emphasis). Michael Goulder, "The Baseless Fabric of a Vision," in Gavin DCosta, editor, Resurrection Reconsidered (Oxford: Oneworld, 1996), 48. Thomas Sheehan, The First Coming: How the Kingdom of God became Christianity (New York: Random House, 1986), 118; cf. 110-111. For instances, see A.J.M. Wedderburn, Beyond Resurrection (Peabody: Hendrickson, 1999), 274, note 265; Robert Funk, Roy W. Hoover, and the Jesus Seminar, The Five Gospels (New York: Macmillan, 1993), 24; Jack Kent, The Psychological Origins of the Resurrection Myth (London: Open Gate, 1999), 16-17; G.A. Wells, Did Jesus Exist? (London: Pemberton, 1986), 30. Besides those listed above, a few of the many others include: Meier, A Marginal Jew, 2:139; Fuller, The Formation of the Resurrection Narratives, 10, 14, 48; Raymond Brown, The Virginal Conception and Bodily Resurrection of Jesus (N.Y.: Paulist, 1973), 81; Francis X. Durrwell, La Resurrection de Jesus: Mystere de Salut, (Paris: Les edtions du Cerf, 1976), 22; Peter Stuhlmacher, Jesus of Nazareth--Christ of Faith, trans. Siegfried S. Shatzmann (Peabody: Hendrickson, 1993), 8; C.E.B. Cranfield, "The Resurrection of Jesus Christ," Expository Times, Vol. 101 (1990), 169; James D.G. Dunn, The Evidence for Jesus (Louisville: Westminster, 1985), 70; Leander E. Keck, Who is Jesus? History in Perfect Tense (Columbia: University of South Carolina, 2000), 139; Helmut Merklein, "Die Auferweckung Jesu und die Anfange der Christologie (Messias bzw. Sohn Gottes und Menschensohn)," Zeitschrift fur die Neutestamentliche Wissenschaft und die Kunde der alteren Kirche, Vol. 72 (1981), reprint, 2. Martin Hengel, The Atonement: The Origins of the Doctrine in the New Testament, trans. John Bowden (Philadelphia: Fortress, 1981), 38. Meier, A Marginal Jew, 2:68-71. Fuller, The Formation of the Resurrection Narratives, 37. Of the many examples, see Ludemann, The Resurrection of Jesus, 109; Helmut Koester, Introduction to the New Testament (Philadelphia: Fortress, 1982), Vol. 2:84; Robert Funk, Honest to Jesus (San Francisco: Harper Collins, 1996), 33; Wedderburn, 116; John Shelby Spong, The Easter Moment (San Francisco: Harper and Row, 1987), 68; Peter Stuhlmacher, "The Resurrection of Jesus and the Resurrection of the Dead," trans. Jonathan M. Whitlock, Ex Auditu, Vol. 9 (1993), 49; E.P. Sanders, "But Did it Happen?" The Spectator, Vol. 276 (1996), 17. The most popular candidates for these condensed confessional segments are located within the sermon material in Acts 1:21-22; 2:22-36; 3:13-16; 4:8-10; 5:29-32; 10:39-43; 13:28-31; 17:1-3; 17:30-31. For some examples, see Gerd Ludemann, Early Christianity According to the Traditions in Acts: A Commentary, trans. John Bowden (Minneapolis: Fortress, 1989), especially 47-49, 112-115; Hengel, 34; Kloppenborg, 361; John Alsup, The Post-Resurrection Appearance Stories of the Gospel Tradition: A History-of-Tradiitons Analysis with Text-Synopsis, Calwer Theologische Monographien 5 (Stuttgart: Calwer Verlag, 1975), 64-65, 81-85; Merklein, 2; Raymond E. Brown, An Introduction to New Testament Christology (Mahweh: Paulist, 1994), 112-113, 164; Durrwell, 22; Ben F. Meyer, The Aims of Jesus (London: SCM, 1979), 61, 64, 66; Fuller, The Formation of the Resurrection Narratives, 44-45; Pheme Perkins, Resurrection: New Testament Witness and Contemporary Reflection (Garden City: Doubleday, 1984), 90, 228-231; Max Wilcox, The Semitisms of Acts (Oxford: Clarendon, 1965), esp. 79-80, 164-165; Luke Timothy Johnson, Living Jesus: Learning the Heart of the Gospel (San Francisco: Harper Collins, 1999), 34; C.H. Dodd, The Apostolic Preaching and its Developments (Grand Rapids: Baker, reprint, 1980), 17-31. For examples, mentions of Jesus' appearances are found in Acts 2:31-32, 3:15, 10:39-41; 13:29-37. Gerald OCollins, Interpreting Jesus (London: Geoffrey Chapman, 1983), 109-110. John Drane, Introducing the New Testament (San Francisco: Harper and Row, 1986), 99. For critical agreement in various elements here, see Willi Marxsen, Jesus and Easter (Nashville: Abingdon, 1990), 66; J. Dore, "Croire en la Resurrection de Jesus-Christ," etudes, Vol. 356 (1982), 536-537; Funk, Honest to Jesus, especially 270; Wedderburn, 46-47; Hengel, 65; J.K. Elliott, "The First Easter," History Today, Vol. 29 (1979), 210, 215, 218; Wolfhart Pannenberg, Jesus--God and Man, second ed., trans. Lewis L. Wilkins and Duane A. Priebe (Philadelphia: Westminster, 1977), 96; Michael Grant, Saint Peter: A Biography (N.Y.: Scribner, 1994), pp. 89, 96; Sanders, 11, 276-280; Hugh Jackson, "The Resurrection Belief of the Earliest Church: A Response to the Failure of Prophecy," The Journal of Religion, Vol. 55 (1975), 419-422; Elaine Pagels, The Gnostic Gospels (NY: Random House, 1979), 8. This data is summarized in my forthcoming article, "The Empty Tomb of Jesus: Recent Critical Arguments." Similar reports are also found in Justin Martyr, Dialogue with Trypho 108 and Tertullian, On Spectacles 30. Michael Grant, Jesus: An Historians Review of the Gospels (N.Y.: Collier, 1992), 176. Howard Clark Kee, What Can We Know about Jesus? (Cambridge: Cambridge University, 1990), 1-2. For details on all of these reasons, as well as other pertinent information, see Gary R. Habermas, The Risen Jesus and Future Hope (Lanham: Rowman and Littlefield, 2003), Chapter 1. Fuller, The Foundations of New Testament Christology, 142. Fuller, The Formation of the Resurrection Narratives, 2, 169, respectively; cf. 181. Bart Ehrman, Jesus: Apocalyptic Prophet of the New Millennium (New York: Oxford University, 1999), 230. My translation of the German text in Traugott Holtz, "Kenntnis von Jesus und Kenntnis Jesu: Eine Skizze zum Verhaltnis zwischen historisch-philologischer Erkenntnis und historisch-theologischem Verstandnis," Theologische Literaturzeitung, Vol. 104 (1979), 10. Ludemann, The Resurrection of Jesus, 50; cf. 37. Gerd Ludemann, What Really Happened to Jesus: A Historical Approach to the Resurrection, with Alf Özen, trans. John Bowden (Louisville: Westminster John Knox, 1995), 103. For details, see Gary R. Habermas, "The Late Twentieth-Century Resurgence of Naturalistic Responses to Jesus' Resurrection," Trinity Journal, new series, Vol. 22 (2001), 179-196. Represented by the works of Ludemann, Goulder, and Kent above. Brown, An Introduction to New Testament Christology, 163; cf. 163-167. Dunn, 76. Cf. N.T. Wright, "Christian Origins and the Resurrection of Jesus: The Resurrection of Jesus as a Historical Problem," Sewanee Theological Review, Vol. 41 (1998), 118-122. Stephen T. Davis, "Is Belief in the Resurrection Rational?" Philo, Vol. 2 (1999), 57-58. John A.T. Robinson, Can We Trust the New Testament? (Grand Rapids: Eerdmans, 1977), 124. Represented by the works of Marxsen and Wedderburn above. Fuller, The Formation of the Resurrection Narratives, 2, 169, 181. The first is favored by Jeremias and the second by Wright above. For examples of each, see Rodney D. Holder, "Hume on Miracles: Bayesian Interpretation, Multiple Testimony, and the Existence of God," British Journal for the Philosophy of Science, Volume 49 (1998), especially 60-62; George N. Schlesinger, "Miracles and Probabilities," Nous, Volume 21 (1987), especially 219, 230-232; John Earman, "Bayes, Hume, and Miracles," Faith and Philosophy, Volume 10 (1993), especially 293, 305-306; Richard Otte, "Schlesinger and Miracles," Faith and Philosophy, Volume 10 (1993), especially 93, 97; David Owen, "Hume Versus Price on Miracles and Prior Probabilities," Philosophical Quarterly, Vol. 37 (1987), 187-202.